Manila claims only part of the South China Sea, but the area it does claim is a core national interest. Contrary to the thinking in certain quarters, the Philippines does not lay claim to the entire South China Sea (SCS), but rather to that smaller area of the SCS off the country’s western seaboard that is well within its Exclusive Economic Zone (EEZ) and continental shelf and is known as the West Philippine Sea (WPS). The Philippine government spelled out this difference when President Benigno Aquino Jr. issued Administrative Order 29 on September 5, 2012, which renamed the maritime areas to the country’s west. 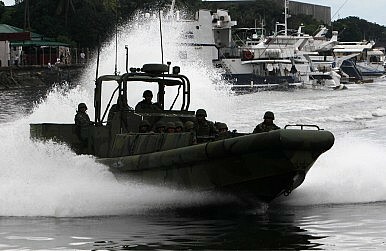 The Philippines is an archipelagic, maritime state, which makes the WPS a matter of serious national importance given its strategic location, security implications and resources. The WPS would include the Kalayaan Island Group (part of the larger Spratlys group of features in the SCS), and Bajo de Masinloc, also locally called the Panatag Shoal and internationally known as Scarborough Shoal. But the Kalayaan Island Group and Bajo de Masinloc are actually distinct and quite distant from one other. Moreover, while the Kalayaan Island Group hosts features that are above water, with some large enough to be considered islands, Bajo de Masinloc is an entirely submerged feature. As such, their maritime entitlements differ, as does the basis for Manila’s claims. The tendency in some media reporting to lump all these features and waters together often leads to confusion and creates the impression of parity in terms of the extent of claims made by Philippines with that of other SCS disputants. Hence, the official clarification was timely. The WPS is critical for the Philippines for strategic, security and economic reasons, not to mention national patrimony and territorial integrity. The WPS is the source of most of the country’s indigenous oil and gas, with the potential to meet the country’s fuel demand in the next 20 years, while also hosting a wide array of seabed minerals. While other SCS claimants like China, for instance, can boast onshore and offshore producing basins outside the SCS, the Philippines’ present oil and gas production are clustered around offshore northwest Palawan and the Recto (Reed) Bank in the WPS. Seismic studies suggest that these two areas possess the greatest potential for a country long dependent on oil imports. As the Philippines continues to develop its offshore hydrocarbons exploration and development capabilities, while attracting local and foreign investors in harnessing these resources, the WPS promises to figure in the country’s quest for future energy security and self-sufficiency. This may help to explain why the trilateral Joint Marine Seismic Undertaking (2005-2008) was publicly criticized after news emerged that the coverage area includes 75-80 percent of the Philippines’ western EEZ, including the gas-rich Recto Bank. The notion of sharing scarce finite resources with other states led many to reject the proposed continuation of the deal. It was also said that JMSU gave China a window to claim previously undisputed maritime areas, such as Recto Bank and other waters very close to Palawan. The WPS is also home to 20% of the country’s fisheries catch. Its rich coral formations serve as spawning grounds that replenish depleted stocks in waters adjacent to the Philippines. It is also a transit area for migratory species. The development of the local commercial fishing industry will, therefore, hinge on a sustainably managed use of these living marine resources in the WPS, which is under threat from poaching and use of illegal and destructive fishing practices. Local fishermen visiting certain parts of the WPS have also been harassed and chased away by armed troops and paramilitary ships of other occupants. The need to develop the country’s naval and maritime law enforcement assets is thus essential, both to protect local fishermen and to conserve the fisheries resources of the WPS for future Filipino generations. Typhoon Haiyan revealed some glaring weaknesses in the Philippine military. Can it defend its own territory?